Great News! 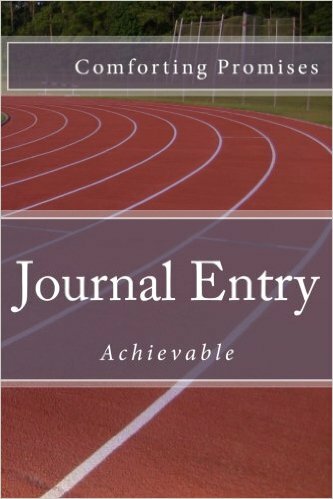 Our 2017 Journals are available for purchase. Habakkuk 2:2 says, “2 And the Lord answered me, and said, Write the vision, and make it plain upon tables, that he may run that readeth it”. I can honestly believe writing your vision, writing your goals, writing your things to do list make a productive execution. 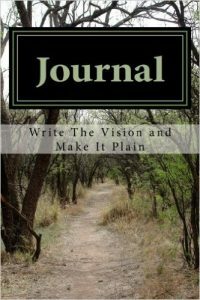 Keeping a journal will help eliminate your things to do list, it will help with writing your next book or poetry, it will help to keep focus on daily goals, and it will help establish a dashboard for career changes and etc. Don’t delay, purchase your 300 page journal today. Click here now. One of the things I’m proud of is that I written a book about my journey. 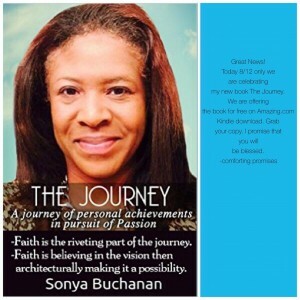 I took the same path that Jesus did by documenting His journey for the purpose to bless others in their life. Your qualification in area of expertise. Your confirm abilities to be who you are purposed to be and to become fully in Christ. Your footprint in the earth. As like Jesus and His book “The Bible”, no one can never say He is lying about who He is and what He is about. It is written, documented, and His biography has been the number one sold manuscript for over 40 years. No one can ever take His position who He was created to be because He is. So I encourage you to begin writing your biography now as your footprint. By doing so, no one will be able to STEAL your identity as being a special part in the earth that Jesus prepared that place just for you. And if I go and prepare a place for you, I will come back and take you to be with me that you also may be where I am. If you would like to purchase The Journey by Sonya Buchanan, you can visit www.Amazon.com. You will be blessed by every detail of the book of nuggets revealed. Not often I take the time to recommend a book for everybody to read. 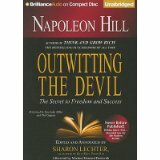 However, Napoleon Hill’s book Outwitting The Devil is a must read. I double recommend for every child, teenager, adult to get a copy of this book and chew on the details revealed. 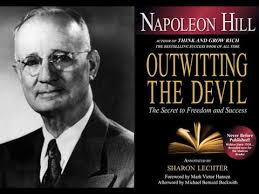 Using his legendary ability to get to the root of human potential, Napoleon Hill digs deep to reveal how fear, procrastination, anger, and jealousy prevent us from realizing our personal goals. This long-suppressed parable, once considered too controversial to publish, was written by Hill in 1938 following the publication of his classic bestseller, Think and Grow Rich. 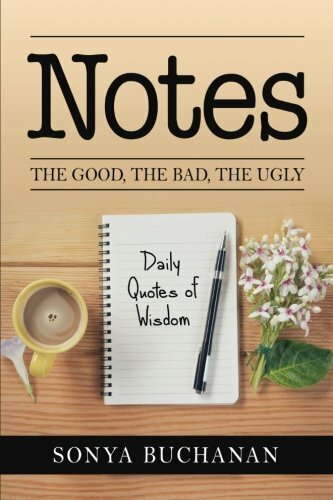 Annotated and edited for a contemporary audience by Rich Dad, Poor Dad and Three Feet from Gold co-author Sharon Lechter, this book–now available in paper–is profound, powerful, resonant, and rich with insight. Our Father in heaven has giving every person on earth a story to write and share with others. Everywhere I go, I tell people to write their story because their story can bless the next person. I’m encouraged by other people history and experiences. I’m often amazed by people trials and their outcome, that most often, is surprisingly to them, not to the Father, ends in His will with an amazing future. In writing this book, “The Journey”, I wanted to share my personal walk with others. I felt that this book was necessary as a monument for having a footprint on earth of my existence. Like myself, there are many people who often seek to know details of other paths to victory as storms occur through life’s journey. It’s a need of human nature to relate with others and confirm within that their process is leading them to the way of victories in their journey. My main goal in being transparent is to express that a person can be strong and courageous through many struggles that life may present. As life takes place and gives you many experiences, you will manage to come out perfected by the hands of our loving Father’s ultimate plan. 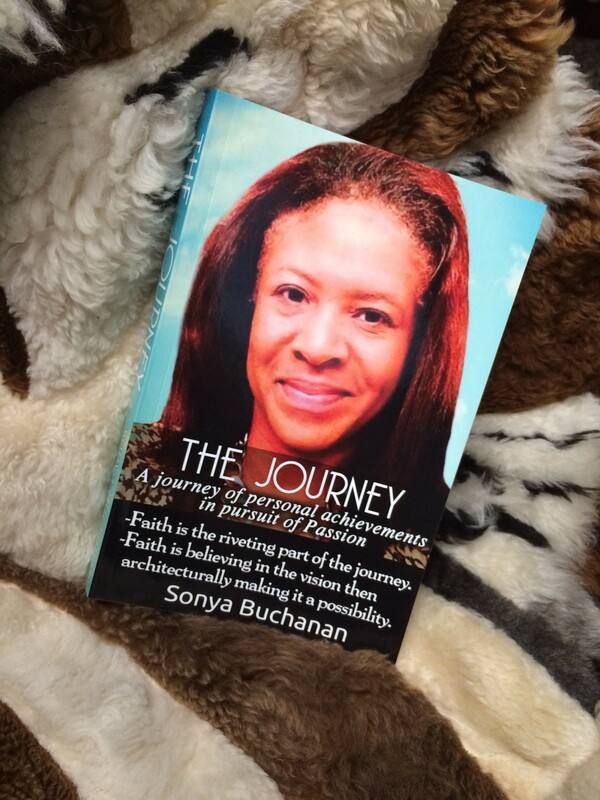 The book “The Journey” will contain personal letters I wrote to the Lord. I will reveal revelations God gave me while studying the word to help explain why I was going through refinement to become what I was created to be; exemplifying the image of Christ – which is given freely to me by grace. I will share the ministries that helped me understand my walk in Christianity. I will share the conversations I had with friends who helped encourage me during difficult moments. I will share my doubts that I had about myself, the fears of deception implanted in my mind, and my fights to keep the faith. I will reveal some of my personal dreams and their interpretations. Sharing my dreams with you will reveal one of the many ways the Lord communicates with His people. I will share with you many experiences with the Holy Spirit and how He helped transform my life, my thoughts and the way I felt about people. The Holy Spirit gives the understanding how vital it is to pray for the Body of Christ, to pray for the leaders in the world, and to pray for the leaders in the church. While discovering who I am and my purpose as to why I was born. I found it to be challenging during the beginning of the process. I finally made up my mind to follow Christ with every part of my being. In doing so, I never thought that I would trip up and fall flat on my face, stumble, or cry as much as I did. I was determined to become what the Bible said I could be and what I had inherited. I needed to be in a place of never looking back to walk in defect ever again. To purchase your copy, book or eBook, go to amazon.com or click on the link below. A journey of personal achievements. This powerfully gripping story will ultimately lead readers down a path to discovering purpose for their lives and being the best that they can be. 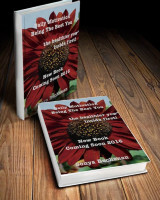 The author shares many raw and memorable experiences with the reader, including moments in her life that are happy, sad, heart wrenching, challenging, or even full of despair. Despite this, there is always an ongoing sense and message of hope permeating throughout. 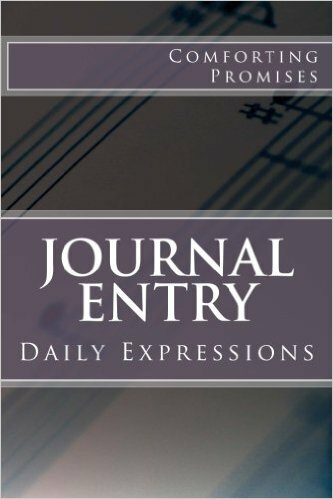 Journals are great gifts this Christmas for young adults, men and women. 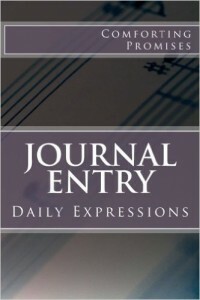 We have 6 styles of journals to select from starting as low as $5.99. Click on the link below and begin your Holiday shopping today. 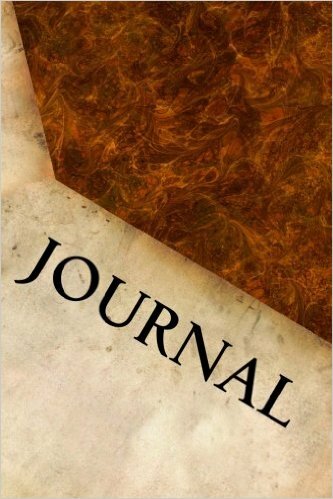 Journals are great gifts for men and women. We have 6 different style journals to select from as low as $5.99. Click on the link below and begin your Christmas shopping early..
What book are you reading? What book you’ve been wanting to read? If you haven’t decided, let me make a suggestion for you. 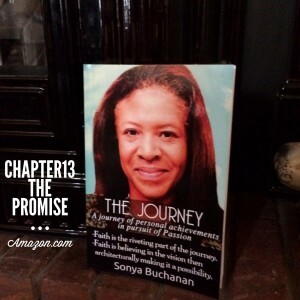 The Journey by Sonya Buchanan is a great book. Go to Amazing and read the write-up. 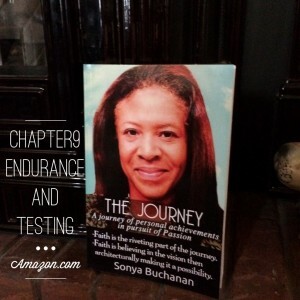 The Journey is available in paperback and kindle. Get your copy on Amazon.com today. Order today and receive it tomorrow. To celebrate the release of my new book The Journey by Sonya Buchanan, we are making it available for free today 8/12 only on Amazon.com Kindle download. I promise that you will be blessed. 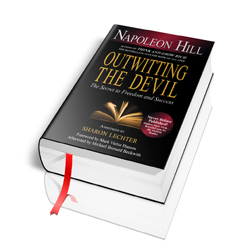 Download the entire book from a PDF file. In Life Code: The New Rules for Winning in the Real World, six-time New York Times #1 best-selling author Dr. Phil McGraw abandons traditional thinking and tells you the ugly truth about the users, abusers, and overall “bad guys” we all have in our lives. He also reveals the secrets of how they think and how they get to and exploit you and those you love. You’ll gain incredible insight into these negative people, which he refers to as BAITERs (Backstabbers, Abusers, Imposters, Takers, Exploiters, Reckless), and you’ll gain the tools to protect yourself from their assaults. Dr. Phil’s new book gives you the “Evil Eight” identifiers so you can see them coming from a mile away, as well as their “Secret Playbook,” which contains the “Nefarious 15” tactics they use to exploit you and take what is yours mentally, physically, socially and professionally. Life Code then focuses on you and your playbook, which contains the “Sweet 16” tactics for winning in the real world.